Very well written and informative. Thank you so much for sharing everything. When I first looked at your chart, I did not recognize the ABCD but see it now. Very helpful. Thank you again. @timothysykes Is it me, or is there almost nothing to play? @Orane slight breakout/trying to breakout on TKAI but I feel this is more of a shorter than a buyer. Going to switch to paper trade for this one. @Orane missed the initial breakout on NVFY, not sure why I didn&apos;t check this stock this morning, I looked at it last night and added it to the watchlist just in case something happened with it but completely neglected it as I was looking for potential setups before market open. Anyways, almost got in at $4.19 but hesitated once again. Another easy gain lost. However not all bad, I bought MCUR at $2.08 when it broke out and sold at $2.15 as it was hitting new resistance(not the best trade in the world but at least I made a move). This is like the eighth time I&apos;ve hesitated to buy NVFY and I&apos;ve regretted every time :/ My confidence in myself is getting better.. slowly but surely. Saw the dip buy on NVFY at $4.25 but didn't take it, I didn't like the small volume. It went back up to $4.50 :( haha. 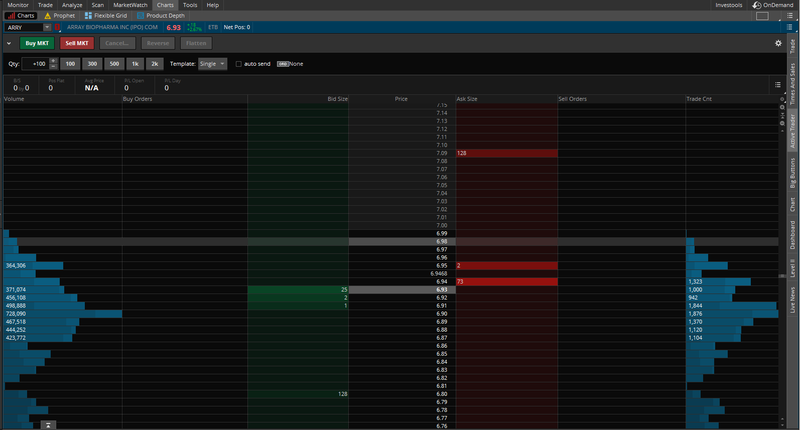 @Orane well I pulled the trigger on CRBP, got in when it dipped back to its day low of $8.65 but then I got scared and sold at $8.75 haha. @Orane thanks :D but I should of held it. I knew it was going to keep going up, I just couldn't trust myself. @Orane AUPH Entry price $5.25 Exit 5.50 could of waited an sold at 5.70 but got to nervous still gotta build my confidence on my decisions! Any advice?